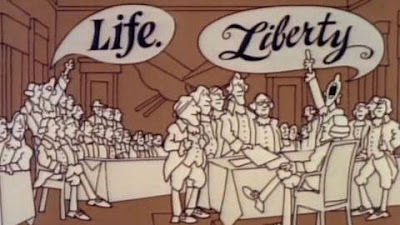 On July 4th, 1976, the United States of America celebrated its Bicentennial - the 200th anniversary of the signing of the Declaration of Independence. It would be more than five years before General Cornwallis surrendered at Yorktown, setting the stage for our actual birth as an independent nation. But July 4th, 1776 is the date we Yanks celebrate each year to commemorate our formal FU to England. We're super-good friends now, btw. 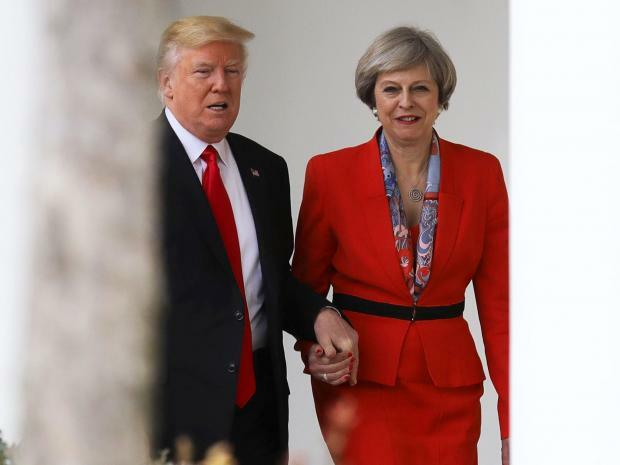 Obama never held hands with David Cameron. I have such vivid memories of the Bicentennial, Drunkards. I was eight years old. Independence Day in my childhood was always a day of cookouts, watermelon, sparklers, and fireworks. But in 1976, love of America permeated the very atmosphere. Even at the level of understanding of a child, messages of patriotism, freedom, and pride in our country were everywhere. 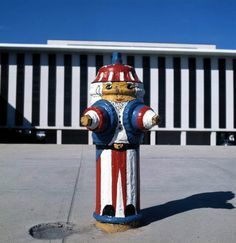 In my ancestral home of South Milwaukee, Wisconsin, people and local businesses adopted city fire hydrants and repainted them in a Bicentennial theme. All over town, hydrants were transformed into American flags, Liberty Bells, and portraits of Uncle Sam. Those paint jobs remained for years. of the Spirit of '76, which was everywhere. The Bicentennial instilled in me a lifelong sense of love and devotion toward my country. Which, frankly, was the goal, following years of disastrous involvement in Vietnam. I comprehended almost nothing of Vietnam when I was eight. But I understood the strong and visceral desire of my country to celebrate and validate itself. That was all right with me. And today, in 2017, I'm still all right with love of country. But I'm just a wee bit more informed about political reality today than I was in 1976. On this Independence Day, we have a President who speaks in 140-character monosyllables to articulate complicated and nuanced policy positions. On this Independence Day, the current administration has eroded relations with all of our historical allies, who have publicly stated that the USA cannot be considered the driver of western-hemisphere policy any longer. On this Independence Day, the President of the United States has repeatedly maintained that he represents the interests of those who voted for him and disdains all others. On this Independence Day, the only campaign promises the POTUS has fulfilled are those that roll back regulations that benefit the many in order to benefit the few. I still love the USA. But I don't support what the party in power is doing to my country. The fallout from North Korea's ICBM launch today, and Trump's meting with Russian leader Putin on Friday, will go a long way toward shaping my opinion of the current administration. I will never stop loving my country. I will never stop protesting forces that threaten its strength and sovereignty. God (or Whomever) Bless America. I was too young to fully understand what the Bicentennial was all about, but I remember a Muppet reenactment of the signing of the Declaration of Independence. Of course being Muppets they were mostly yelling incoherently and throwing paper airplanes and Kermit says to Fozzie, "This is pretty much what it was like." Whenever I remember that I feel a little bit better about our current political situation.